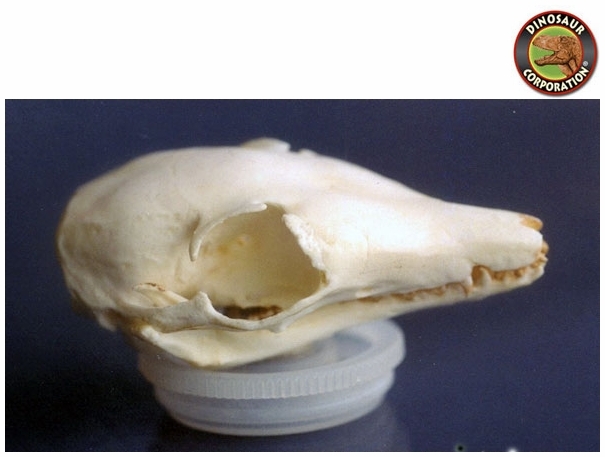 Numbat Banded Anteater Skull. Myrmecobius fasciatus. Dasyuro/Morphia marsupial. Termite diet, found in the Eucalyptus forest and desert of lower Western Australia. The Numbat Banded Anteater (Myrmecobius fasciatus), also known as the banded anteater, marsupial anteater, or walpurti, is a marsupial found in Western Australia. Its diet consists almost exclusively of termites. Numbat Banded Anteater is a small, colourful creature between 35 and 45 centimetres (14 and 18 in) long, including the tail, with a finely pointed muzzle and a prominent, bushy tail about the same length as its body. Colour varies considerably, from soft grey to reddish-brown, often with an area of brick red on the upper back, and always with a conspicuous black stripe running from the tip of the muzzle through the eyes to the bases of the small, round-tipped ears.